Nobly adorn and clad with powerful beasts, this Ludovisi Battle Helmet is a piece of protection that is sure to inspire greatness. 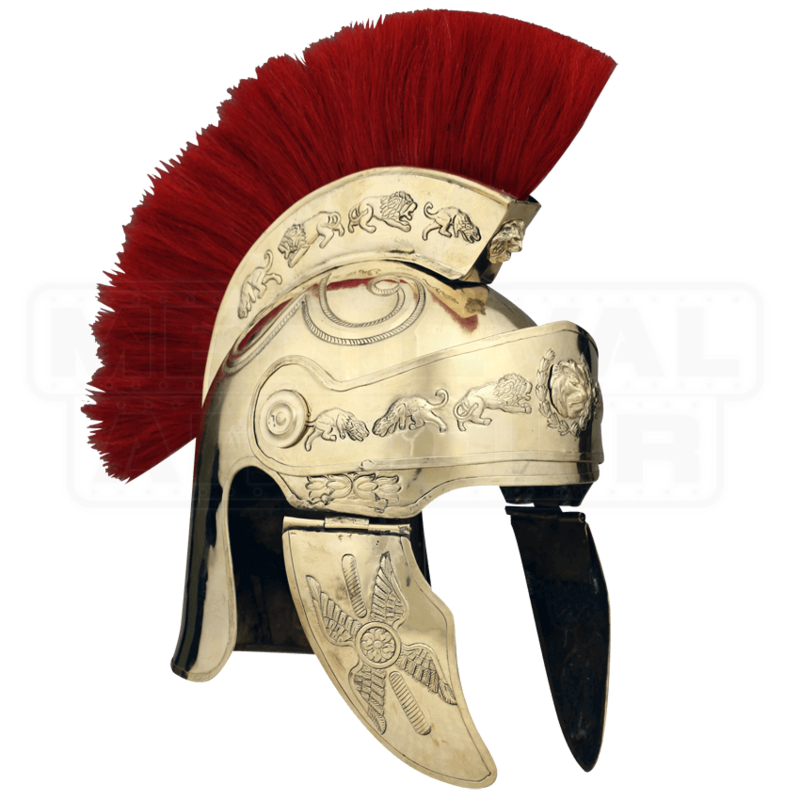 Emblazoned and ornate as it is, this helmet is an impressive sight to see, whether on a warriors head or in a display. 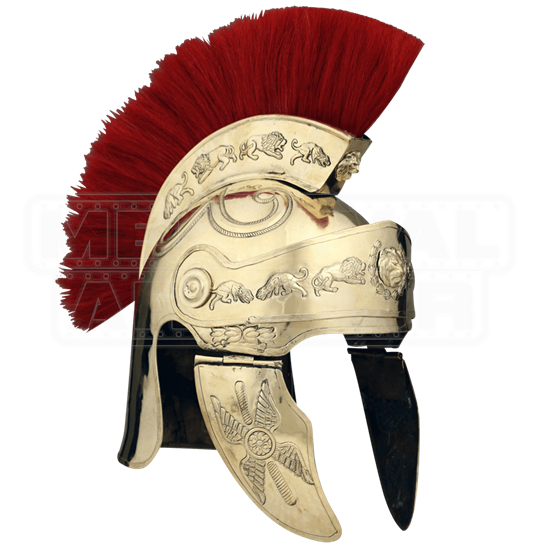 Similar in design to our Praetorian Guard Helm (item number AH-3210), this helmet possesses a similar imperial helmet construction, featuring a long back, open ears and face, and hinged cheek protectors. It also features the red hair crest across the top, which makes for an impressive sight to see. This helmet, though, is embossed with line patterns, as well as with images of great and powerful beasts as they fight, giving it a more warrior tone, one befitting generals and mighty fighters and swordsmen. Lions are among the most common creatures depicted, with a central one acting as the main decoration on the helms brow. The stunning level of detail makes this helmet a fine centerpiece for any historic display, and for the warrior who wears it, this Ludovisi Battle Helmet is sure to make any warrior look like a conquering general or a noble Caesar.